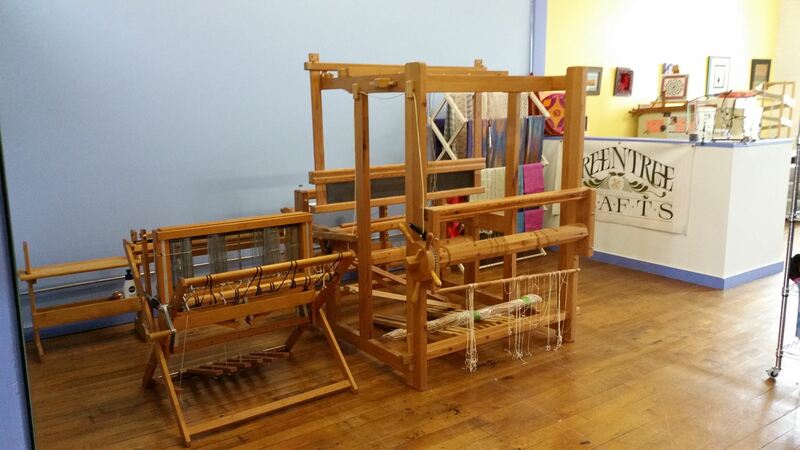 The Glimakra countermarche loom is officially in production! Here it is from basic frame to refitting with texsolv, adding a little hand dyed Happiness Blue, Calm Green, and sunny chartreuse in Henry’s Attic Treadsoft Superwash merino. I love how the green weft calms down the vibrant blues and green towards a beautiful complex color. Pictures don’t really do it justice. On another note…I just want to express undying gratitude to the physical therapists and personal trainers who helped me rehab from my knee replacement 3 years ago….look at me under that loom! I had to crouch there for a good two hours while I figured out the tie-up.